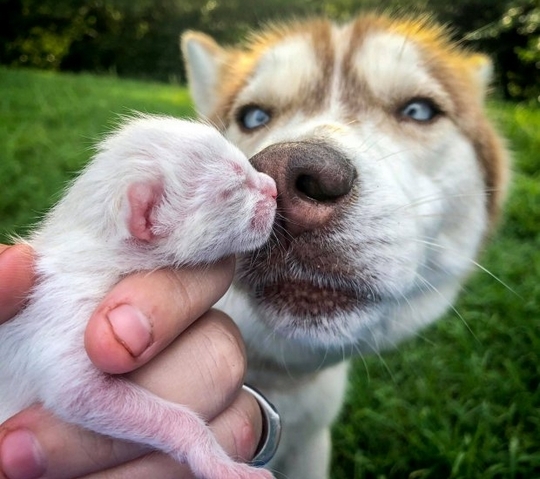 Whitney let Banner lead her to the nearby woods and says that her dog dived straight in after she opened a cardboard box, and pulled out a tiny white kitten.She was astonished to find six more ‘barely alive’ kittens inside. 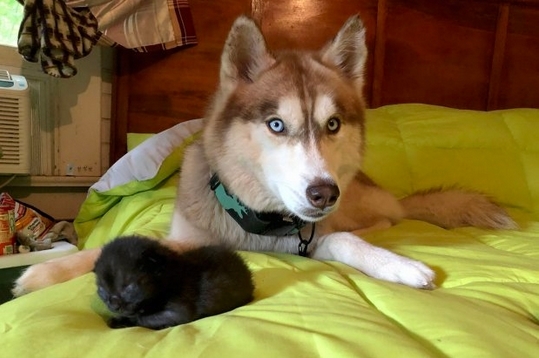 And after bringing them back to her house, Whitney says that Banner refused to leave their side – cleaning, cuddling and napping with the cats as if she was their mother. ‘I don’t even know how Banner knew they were in there. The kittens were freezing and weren’t meowing or anything. ‘She just knew somehow. She is a true hero. 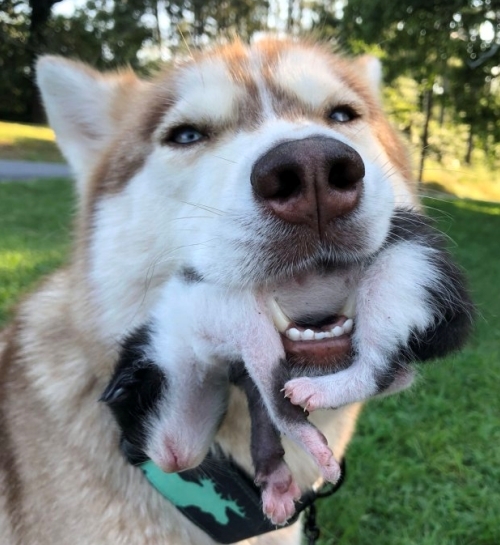 If she didn’t find the kittens, they would have all died. I think they were pretty close to death. They only looked around a day old. Whitney says that the dog now like ‘their adopted mum’, who won’t leave their side. ‘She is a really maternal and loving dog. I’ve never met another dog like Banner. The kittens are really lucky. If she didn’t find them, there is no way they would have made it. "I’m so happy that now because of Banner, these kittens will go on to live their lives with loving families." 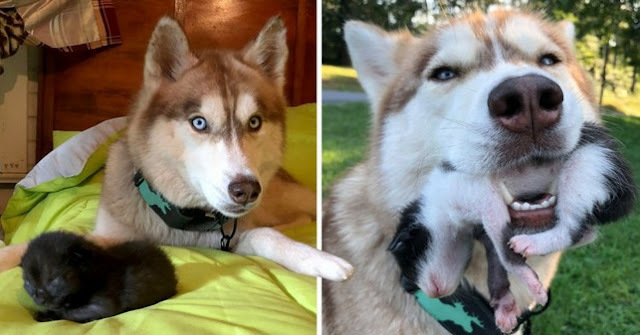 Responses to "Brave husky hailed a hero after rescuing seven newborn kittens"